Vincent van Gogh’s fluid brush strokes already seem to move across the canvas but now a film has brought them to life, animating physical paintings to tell the Dutch artist’s story, writes Senay Boztas. Loving Vincent is the title of the first fully-painted feature film, currently in cinemas, and a making-of exhibition at Het Noordbrabants Museum in ’s-Hertogenbosch until January 28 2018. Both the film and exhibition were beset with challenges, from erasing a Greek fly that got stuck in the paint of one of 65,000 stills to persuading museums this artistic project fits their space, co-directors Dorota Kobiela and Hugh Welchman told DutchNews.nl. Wind back almost a decade and Kobiela, a passionate painter and Van Gogh fan with an idea for a seven-minute painted film animation, had taken a job at Welchman’s company, BreakThru films in London. ‘She had money from the Polish Film Institute, came to work for my company, we fell in love and got married…and we went back to Vincent deciding to do a feature film,’ explains Welchman. 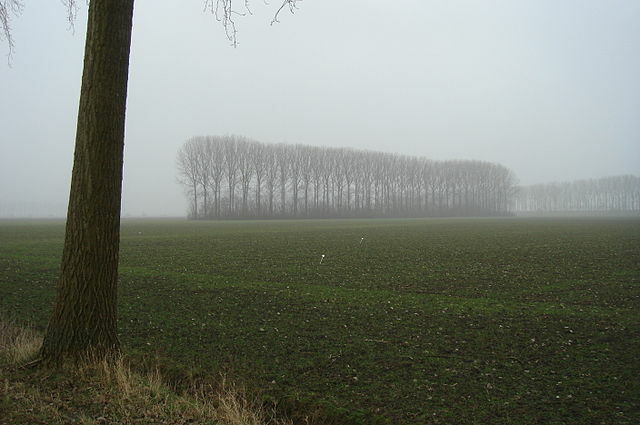 The film tells the fictional story of Armand Roulin, a postman’s son who sat for Van Gogh, trying to fathom the truth of the painter’s last days before he killed himself in July 1890. In some ways, the figure of Roulin represents Welchman – complete with his Vincent-ish beard – a sceptic, who is eventually won over to unqualified admiration of Van Gogh the painter. At first, Welchman only had a vague notion of the Dutch artist. ‘You know he’s famous for swirly paintings and cut off his ear but you don’t really grasp how passionate people are about him,’ he says. ‘They treat him like a rock star, like Jim Morrison or Kurt Cobain. Vincent van Gogh, born in 1853 in the Brabantse village of Zundert, became an artist at the age of 27 and moved to France. But after a series of psychotic attacks, including the famous incident where he cut off an ear and presented it to a prostitute, he eventually killed himself. He left more than 850 paintings, almost 1,300 works on paper, and an extensive set of letters. 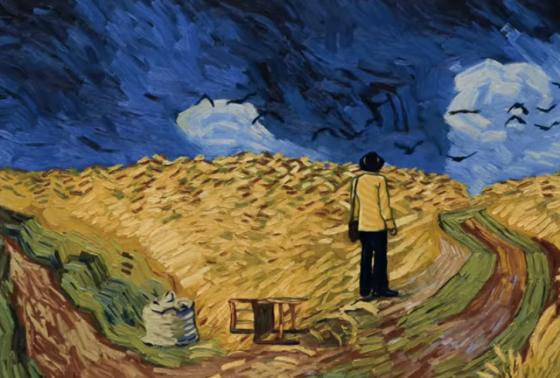 These were the basis for what one critic has called a ‘near-lunatic labour of love’, the animated film using 377 paintings based wholly or partly on 125 Van Gogh works, animated by literally moving paint around and taking photographs. There were technical challenges for an animator, says Welchman, not least Van Gogh’s strange perspective and the fact that some of his figures are more expressionistic than anatomically correct. ‘Sometimes when people move through an environment, you can’t stick to his 2D perspective, because people think it’s wrong,’ he explains. ‘In the Night Café we managed to keep the strange perspective, but at other times like Wheatfield with Crows, we had to slightly modify it. The $5.5mln film project combined colour images based on the artist’s paintings with black-and-white ones telling his story as described by other people. The screenplay was first shot with actors and then the stills were over-painted by hand, a painstaking process taking six years. Kobiela says another challenge was to keep the oil paint wet enough to move – and after testing 30 paint retarders, they settled on the clove oil that Van Gogh himself had used. ‘One painting [in the Van Gogh Museum collection] is still kind of dripping slowly – one of the peasants from the Dutch period,’ she added. ‘Another big challenge was the shade of blue Vincent used on The Starry Night, which was just impossible – what was the pigment? Geertje Jacobs, head of collections, exhibitions and education at Het Noordbrabants Museum says that the exhibition of the film’s story was so ‘unique and special’ they had to house it – even though museums normally programme years in advance. The film, she says, is the artistic project more than the ‘independent objects’ of the paintings themselves – although they could be labelled a kind of 21st century ‘after Van Gogh’ school of painting. Van Gogh was, in a way, says Welchman, almost an early selfie-maker: his art was an expression of himself where he even imbued his shoes with meaning. ‘He was radical, strong and individualist, striking out in his own style but although he wanted to be in a group of painters, he was in a group of one, really,’ he adds. With their hand-crafted film – just as anachronistic in this age of computer-generated images – they have achieved the same. Van Gogh signed letters to his art dealer brother Theo ‘your loving Vincent’, and thanks to the film and exhibition, more Dutch audiences will undoubtedly soon be ‘Loving Vincent’ more too.